MOSCOW — Russian President Vladimir Putin said on Wednesday his country would deploy its first regiment of hypersonic nuclear-capable missiles next year, saying the move meant his country now had a new type of strategic weapon. "This test, which has just finished, ended with complete success," Putin told a government meeting. "From next year, 2019, Russia's armed forces will get the new intercontinental strategic system Avangard ... It's a big moment in the life of the armed forces and in the life of the country. Russia has obtained a new type of strategic weapon." Putin remotely observed Wednesday's test from a Russian defense ministry building in Moscow. 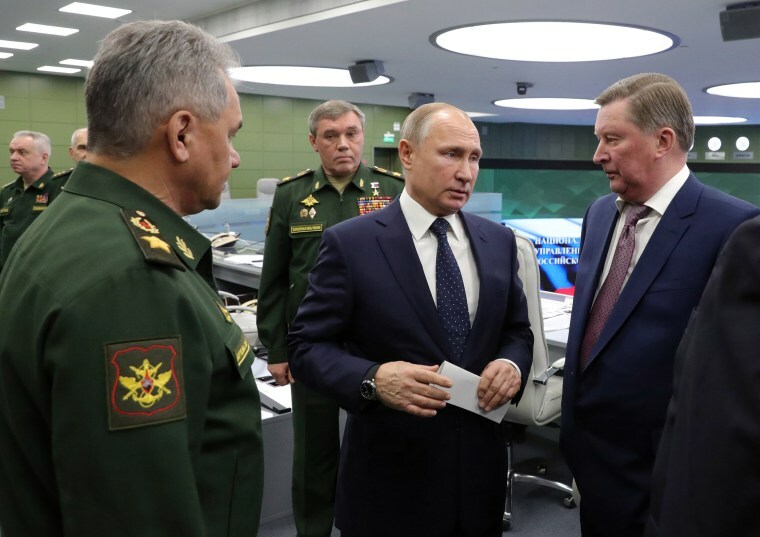 The Kremlin described the test in a statement, saying that an Avangard missile, launched from a location in southwest Russia, had successfully hit and destroyed a target in the Russian Far East.